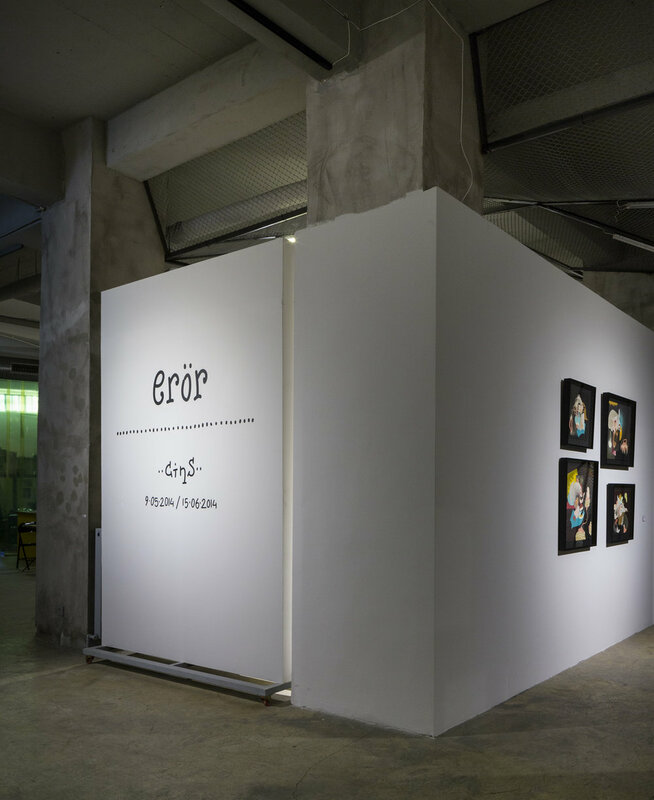 Mixer is happy to host Cins’s first solo exhibition entitled Erör, as a continuation of the artist’s recent graffiti works in public space. The exhibition’s concept is based on early graffiti works of Cins, such as “swear”, “flow”, “meadows”, that contains a sarcastic way which the artist, the writer and and the viewer mix up together. 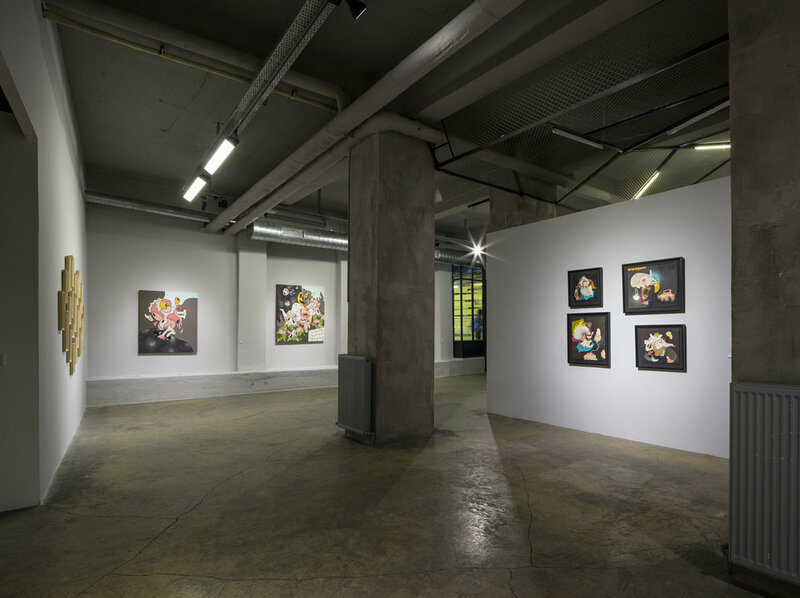 Cins’s new works on canvas and found objects depicting organic forms looking like pieces of flesh and meat will flow into the exhibition area from Mixer’s exterior space, creating a unity with the artist’s drawings, collages and paintings. Cins uses many different mediums and techniques including urban walls in his works that are mostly based on a graphical language. Whether the organic forms create a unity or a different sense of individuality, they remain as the main objects evolving in his artistic practice. Cins’s works partly set an abstract and surreal scene, standing in a leery distance, inviting us to think about art’s existence in daily life.